Our SEN Support Workshop covers everything you need to know about the SEN Support framework. 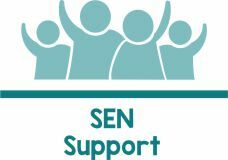 SEN Support is the term used to describe the provision made for a child or young person who is identified as having special educational needs. SEN Support is part of a graduated approach and sits prior to an EHC Plan, or in most cases, is sufficient support without a pupil requiring an EHC Plan. The vast majority of children and young people who have special educational needs are supported under this framework. Parents and carers have an important role to play in the graduated approach and must be regularly involved in reviewing progress. Designed by Cheryl Wyatt from the Information & Advisory Service (IAS) Bolton, our workshop has been written to guide parents and carers through the SEN Support framework as it is delivered within the Bolton authority area. All attendees are given a handout to take home that covers the content of the sessions and legally based information. This workshop is generally hosted by Cheryl Wyatt from IAS and Nan Cooper from BPC. We walk you through the graduated approach to Special Educational Needs, so to start with we cover identification of SEN. This moves onto what must happen once an SEN has been identified, what kind of provisions may be put in place. We also look at what kind of supports would come under general teaching and not be considered to be an SEN provision. These are the things that educational settings should just do, regardless of SEN.
SEN Support follows an Assess, Plan, Do, Review cycle – which as a parent or carer you have the right to be involved in, so we talk about how and when this should happen. We touch briefly on how, when reviewing progress, it is determined that SEN Support may not enough provision for your child or young person and what would happen next. The workshop lasts for 2 hours, with built in breaks. It is a relaxed atmosphere and there is ample time to ask questions. Everyone who attends receives a handout to take home that details the legal aspects of SEN Support. Our aim is that no one leaves with burning questions unanswered. To book a place on any of the below sessions, please complete the form below.